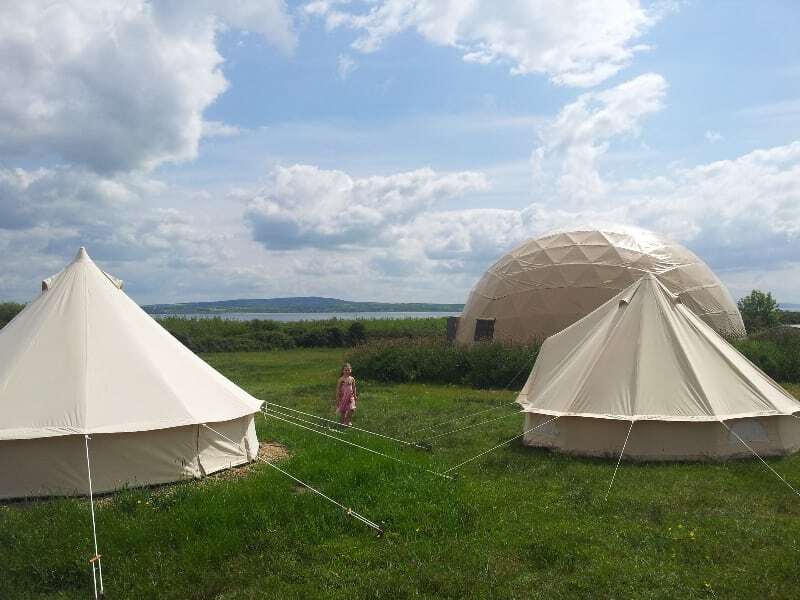 Welcome to PureCamping, an eco-campsite set in the small village of Querrin, Co. Clare on the Wild Atlantic Way. We are nestled on the south side of the Loop Head Peninsula, a European Destination of Excellence (EDEN) since 2010 and Winner of Irish Times Best Place to Holiday In Ireland 2013. The campsite features the camping field and an emerging 10-acre native woodland. At its centre is a ring fort, which is a registered national monument. 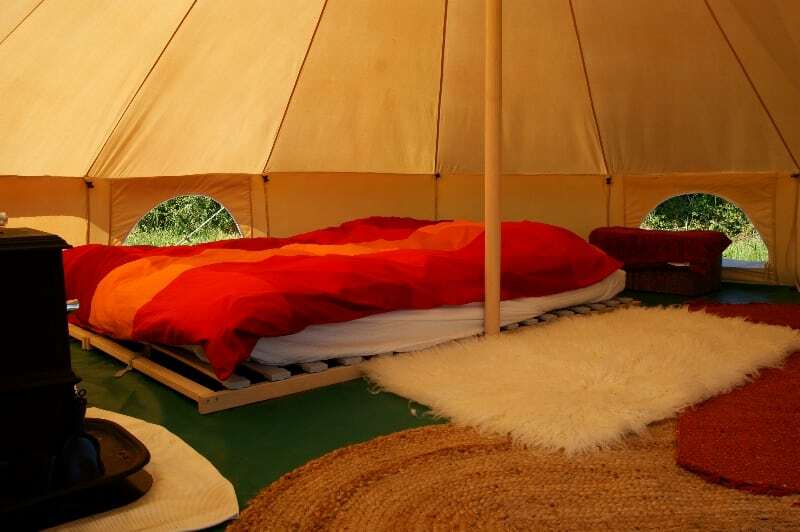 Pre-erected bell tents are available, furnished or unfurnished, or you can pitch your own tent in the wood. The site also features a 12-metre geodesic dome and communal campfires. Purecamping is about giving guests a pure experience of outdoor life and camping as it should be and allowing you to tread lightly on the earth, albeit for a little while. It offers you an escape from busy complicated lives and hopes to bring you some peace and clarity. The camp embraces the Leave No Trace program and sustainable practices such as rainwater harvesting, solar heating, and composting toilets. Winner of Irish Responsible Tourism Award for Best Accommodation provider 2014. Ambassador for The Wild Atlantic Way. Opening for the new season in May.